A nice, aesthetically pleasing new flooring always elevates the entire look of the interior, whether it is of residential or commercial purpose. Stains, warping, buckling, cupping, scratching and excessive wear are just a few examples of problems causing damage to floors. 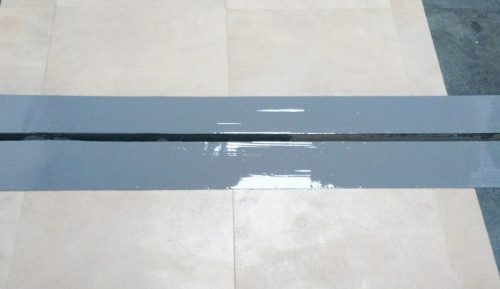 Besides an unattractive look of a damaged floor, it might compromise safety. 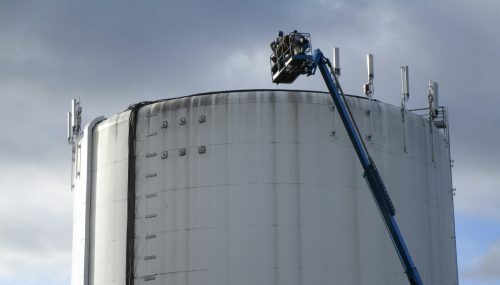 When it comes to a space of commercial use, safety is of outmost importance and concern. 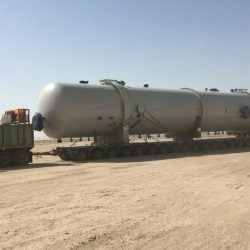 Therefore, a quick response, an easy-to-apply solution and durability are the key factors Customers look for when it comes to safety hazards. 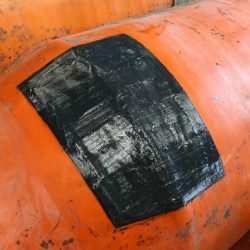 In our “How to Create Safety Markings with Belzona 5231” we demonstrated one of the safety applications that can be achieved with Belzona 5231. 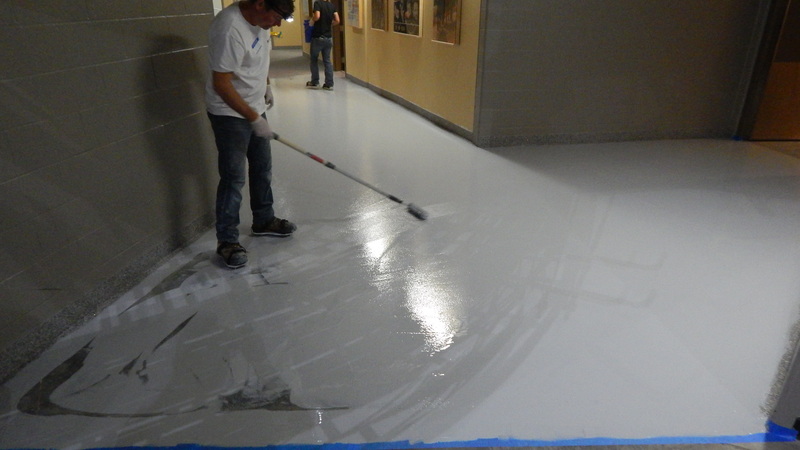 The application we are featuring in this post encompasses it all: a floor damaged by flooding, a solution provider on site and an easy-to-apply system with a quick turnaround. This application took place at one of the staple American arenas located in Kansas City, MO, USA. The arena was opened back in October 2007 and boasts 19,000 seats. Since its opening, it has hosted a great amount of sporting events, tournaments and internationally renowned artists. Talk about being in the right place at the right time! 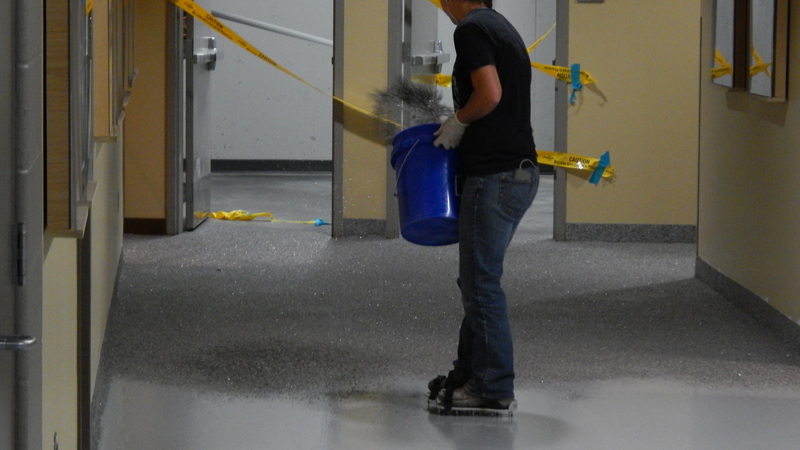 While the IRT team was at the arena working on a different project, the issue with the flooring came up. 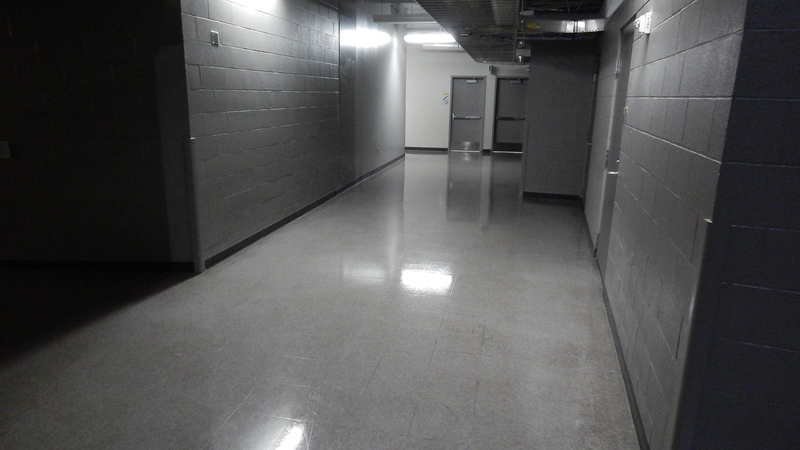 A flooding caused by a failed water line backstage had destroyed the existing VCT flooring. 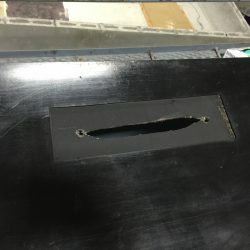 At the time of inspection, it looked warped and buckled. The facility clearly needed a new flooring. Since this was not a sole instance of the flooring to warp up to water, the Customer was looking for a more permanent solution. 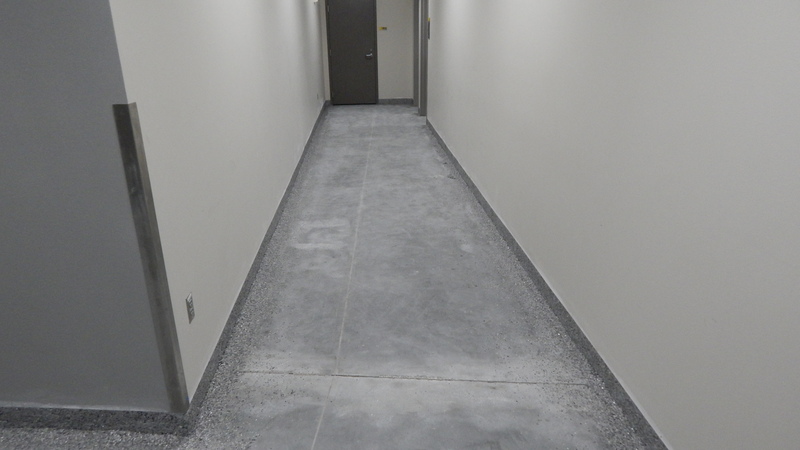 Prior to this project the IRT team had done numerous floor applications, including installation of new flooring systems. Therefore, after inspecting and assessing the floor condition and damage this time around, the Belzona 5231/5233 system was proposed. The Customer was familiar with this system from an application that was carried out to seal the base of the stop bollards outside the arena. 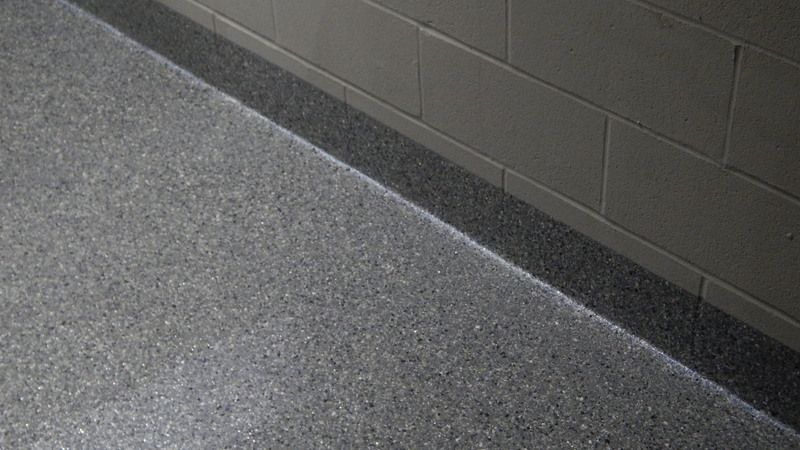 Through various samples, a customized flake blend was developed to match the existing terrazzo look in other floor areas throughout the arena. 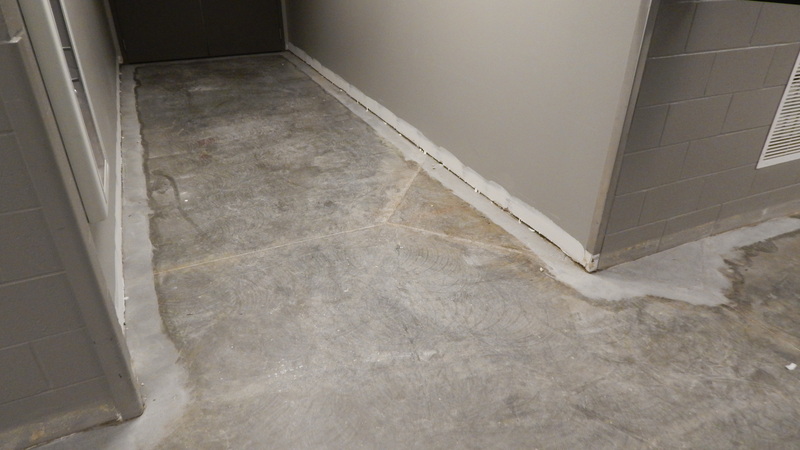 During the project discussion, it was also decided that the existing vinyl base boards had to be removed. To replace these, a new seamless cove was to be created utilizing the same Belzona 5231/5233 system with a custom flake blend. 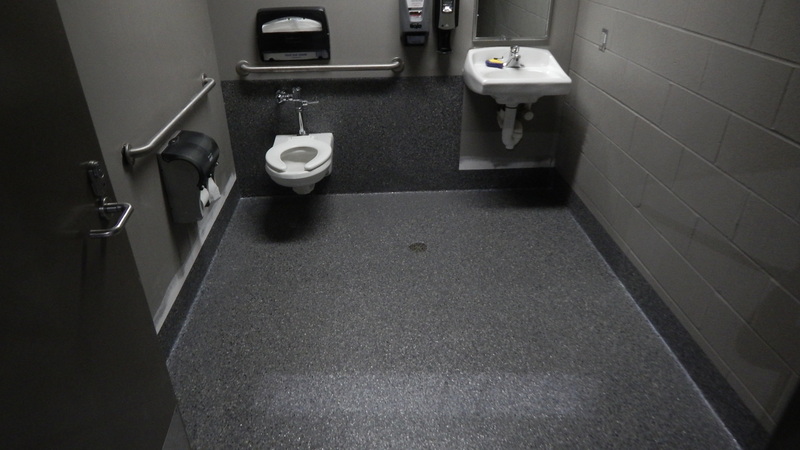 Additionally, it was decided to create the same flooring in the restrooms adjacent to the hallway to achieve a cohesive finish. 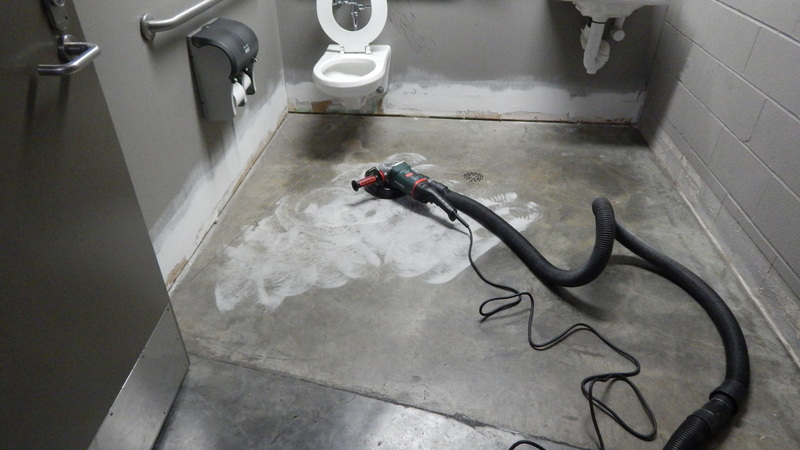 The entire job was completed in 8 days: 3 days to complete restrooms (overall footage: 2400 sq. ft.) and 5 days to complete the hallway (overall footage: 3600 sq. ft.). 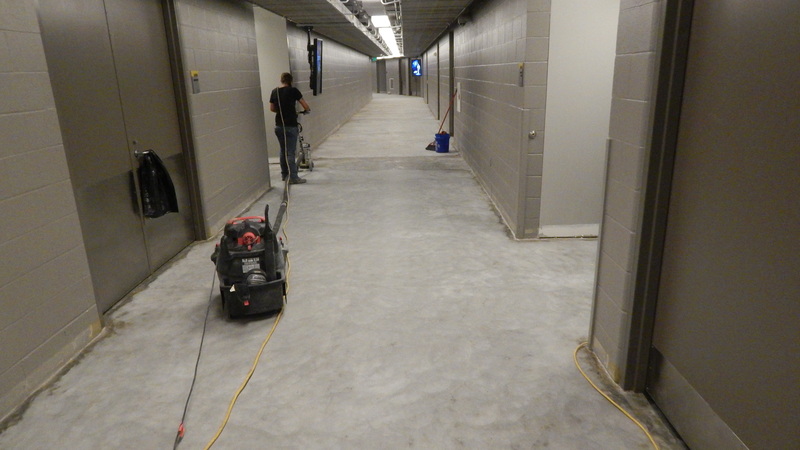 Old VCT flooring in the hallway was removed using a ride-on hydraulic tile stripper. 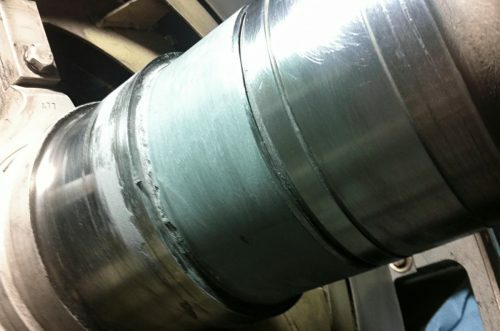 Concrete surface preparation was accomplished with EDCO walk behind 9″ diamond grinders. 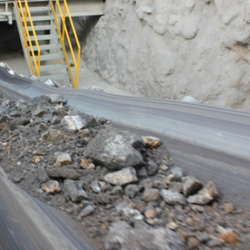 Surface preparation was accomplished with Blastrac handheld 4″ and 7″ diamond grinders for edge work. Half of the cove was onto cinder block and half onto drywall. Belzona 5231 was applied by brush to the edges and the coves, squeegee to the floor and back rolled. The custom flake was hand broadcast to rejection into the wet Belzona 5231 at the rate of approx. 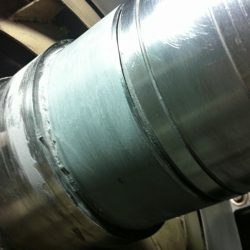 4-6 sq. ft. per pound. The floor, cove and backsplash zone completed with Belzona 5231/5233 and custom flake system.